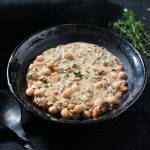 Vegan Wild Rice Soup from The Gluten-Free Instant Pot Cookbook! Raise your hand if you have an Instant Pot! Even though I’m not raising my hand, I’m willing to bet that many of you are. While I don’t have an electric pressure cooker, I do have a traditional pressure cooker, and I absolutely love it. 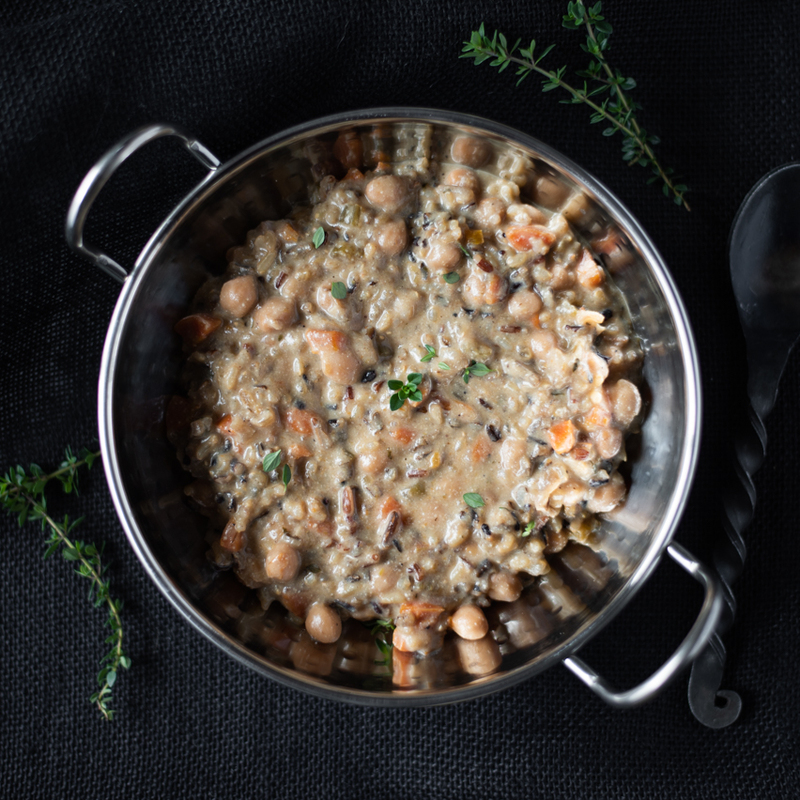 The food you cook in any pressure cooker is downright delightful. 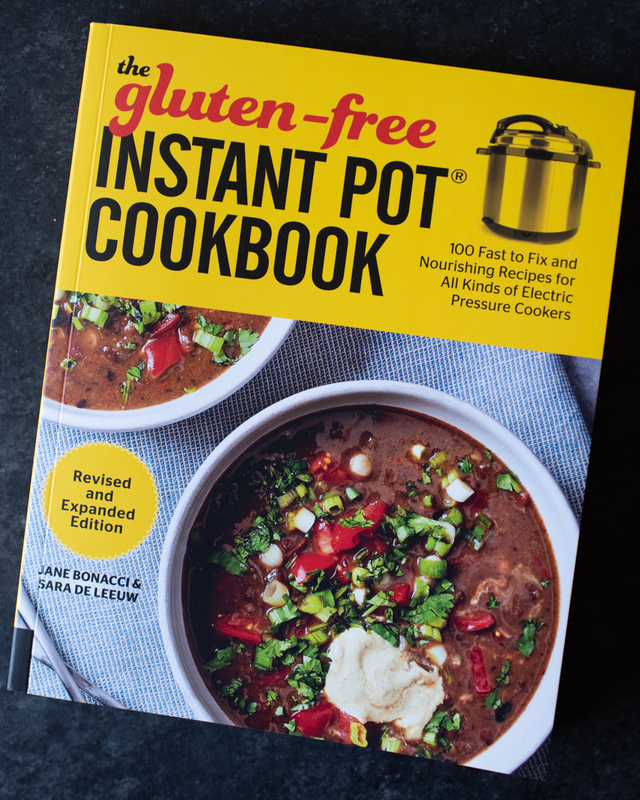 I’m so excited to break this news to you today about my amazing friend, Sara DeLeeuw, who has published her first cookbook, and it’s all gluten-free recipes for the Instant Pot! I am continually in awe of this woman, and so very proud of her. When I heard that she was having a blog tour for her new book, I jumped at the chance. Being vegan, I was curious if they also included dairy and meat-free recipes in their book, and to my delight, they did! The Wild Rice Soup with Cashew Cream is hearty, flavorful, and warming for these colder spring nights. 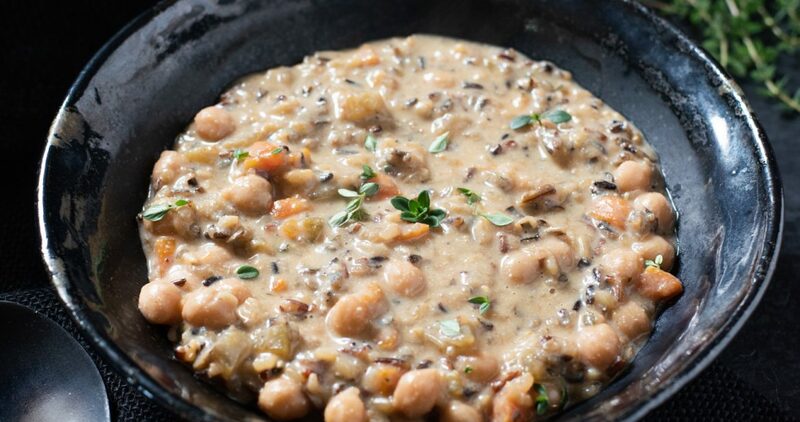 I love the chewiness of the wild rice, and their combination with chickpeas and cashew cream. 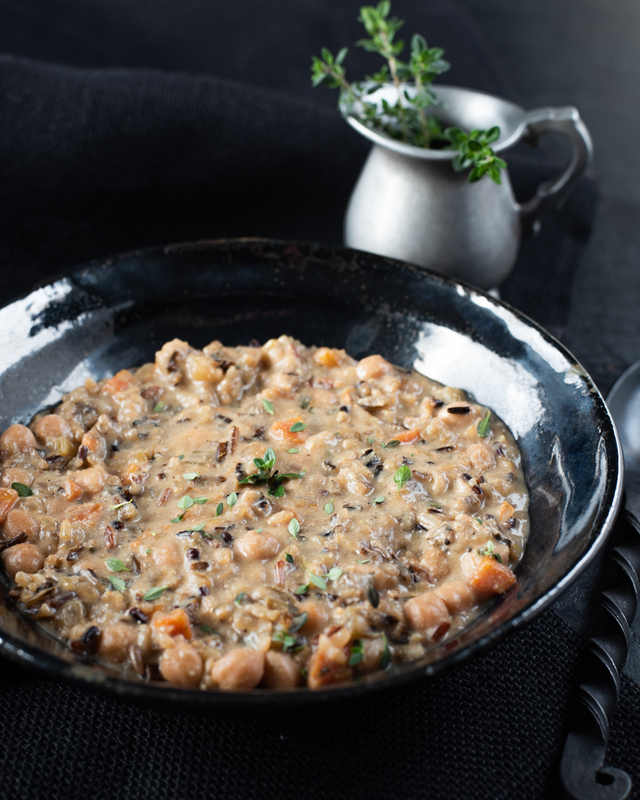 It’s loaded with an overall hearty texture, with a thick and smooth mouthfeel with the addition of cashew cream. No joke, I was eating this straight out of the pot, it is so good! If you’d like to purchase the book, click the image or the link below! Make sure to pick one up for your friend too. This soup is so good that even non-vegans will enjoy it and never miss the meat and dairy! 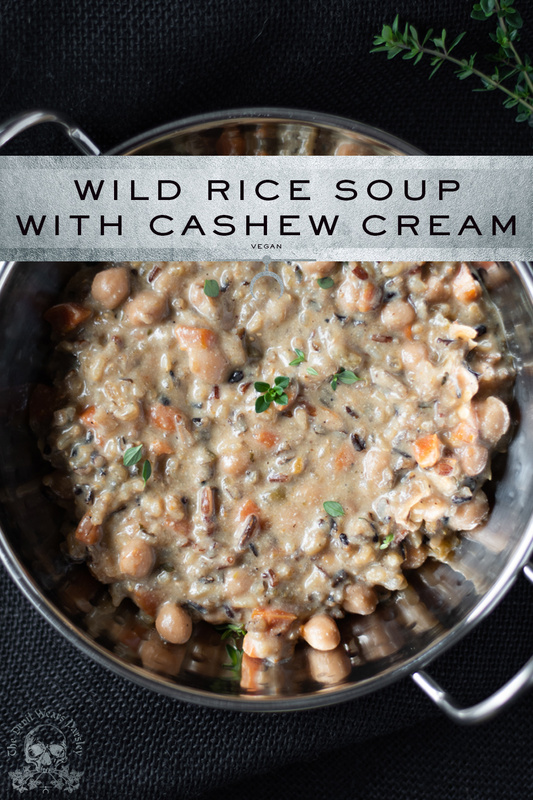 The wild rice and chickpeas are very filling and the cashew cream adds a lovely lushness. Using homemade vegetable stock (page 214) lets you control the flavor profile and the quality of the ingredients. This soup is perfect for lunch or as the starter for a bigger meal. Press Sauté on your electric pressure cooker. Add the oil to the inner pot and when it is hot, add the onions. Cook the onions until softened and translucent, about 4 minutes. Add the garlic and cook for 30 seconds, until fragrant. Stir in the carrots and celery. Cook until the vegetables are softened, about 4 minutes. Add the drained chickpeas, wild rice, bay leaf, thyme, and stock. Stir well. Close and lock the lid, making sure the steam release handle is in the sealing position. Cook on high pressure for 25 minutes. While the soup is cooking, make the cashew cream. Blend the soaked and drained cashews with the ½ cup (120 ml) fresh water in a blender until completely smooth. Set aside. When the soup is finished, release the pressure naturally. Turn the steam release handle to venting, releasing any remaining steam. When the float pin drops, unlock the lid and open it carefully. Stir in the cashew cream (if using) until completely incorporated. Add salt and pepper to taste. Serve immediately. Here are the other’s participating in the blog tour for The Gluten-Free Instant Pot! Be sure to give them some love too! *Disclaimer: I was given this book in exchange for posting a recipe contained within. I was not compensated in any other way, and all thoughts are my own. This post contains affiliate links. Thank you so much for being part of our blog tour! Sara and I really appreciate your participation!! Your soup looks wonderful and I’m so glad you enjoyed the recipe. Looks like a fabulous dish and wonderful cookbook! Natalie! This looks incredible! Thank you so much for your support and sharing this recipe with your readers. MUCH love to you!